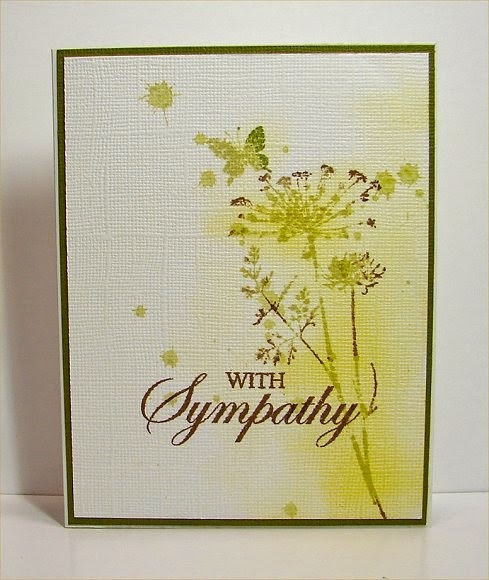 to make a one layer card and include splatters. so I trimmed this down a little and matted it on green , then layered it to a white card base. I like it better and it feels better when you hold it in your hand. 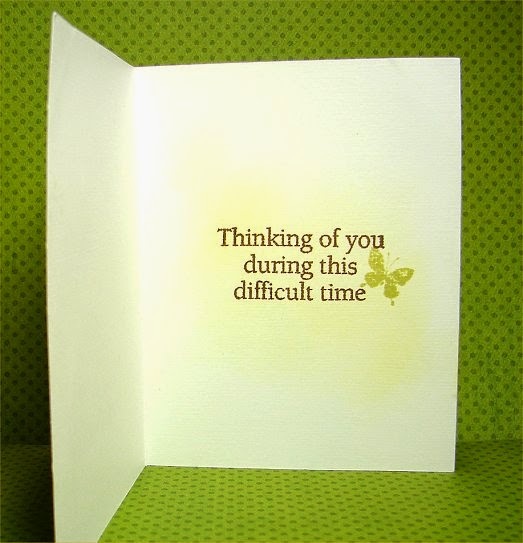 Superb card Doni. 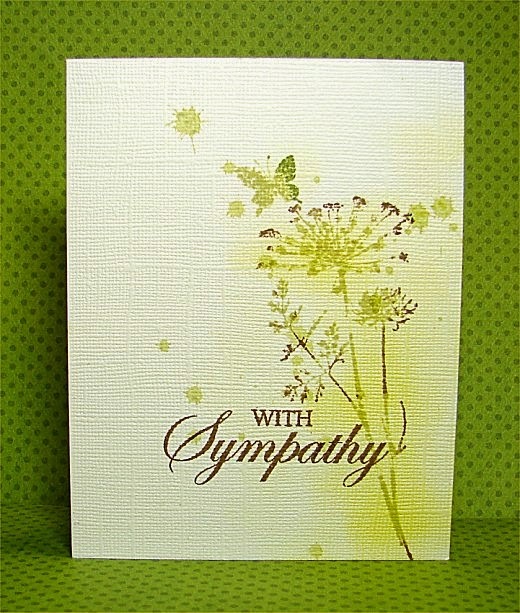 Love your inky splatters and a gorgeous stamp; perfect for the occasion. I know exactly what you mean about the one layer cards and often have to re-hash mine before I send them to anyone. Great work and thanks for playing along. Lovely work Doni, sometimes a one layer just needs that little bit extra but both versions look great!